By Tallapragada Subba Row (1856 - 1890). 575 Pages |First edition 1951, 1st to 3rd reprints 1972 - 1994, 2nd edition 2002 | Softcover | The Theosophical Publishing House, Adyar | ISBN: 8170593646. This collection of articles on varied and unusual subjects by a briljant young Brahman scholar, lawyer, mystic and occultist, is a mine of information. During the brief years before his death in 1890, author Swami T. Subba Row not only wrote these articles, but also gave a series of lectures at the annual Convention of the Theosophical Society, later published as Philosophy of the Bhagavad-Gītā. In his early years, Subba Row did not show any exceptional signs of mystical knowledge, but in his twenties knowledge welled up from within. 'It was as though a storehouse of occult experience, long forgotten, had been suddenly opened to him'. 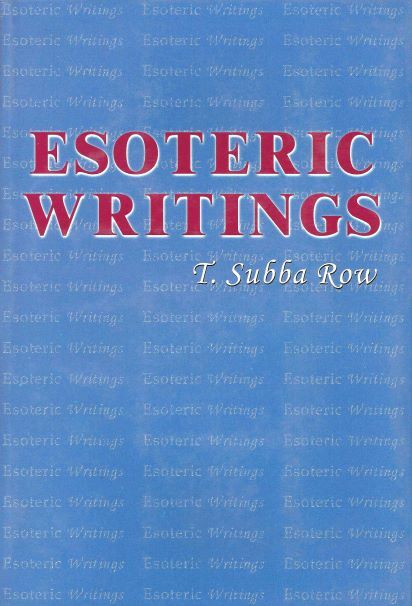 T Subba Row was an outstanding figure of the Theosophical Society in its early years in India. Helena Petrovna Blavatsky (1831 - 1891) had originally planned the collaboration of Subba Row with her in the production of The Secret Doctrine, but this plan did not fructify. Colonel Henry Steel Olcott (1832 - 1907) has paid the tribute to Subba Row, that 'there was none equal to him in bright genius for grasping the spirit of Ancient Wisdom'. 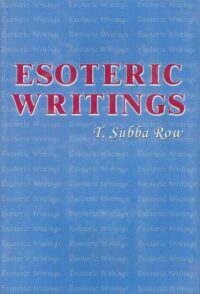 Subba Row's philosophy was essentially Vedāntic, although he was also greatly stimulated by the Theosophy of Madame Blavatsky. His meeting with her also resulted in his obtaining conscious touch with his Master.